A lot of confusion has come up latterly regarding PBX and PABX solutions, and thus, there is a need to understand the differences between these two. PABX stands for Private Automated Branch Exchange. On the whole, a PABX is just a type of traditional PBX that is automated. PABX solutions have implemented many new features and many of which were practically not in existence when the system was introduced. The experts behind PABX systems have always been able to introduce new ideas and provide the level of service that you need. There are different types of systems depending on your business necessities. On-Site PABX Phone System and a Hosted PABX Phone System are the two top most installed systems in the organizations. 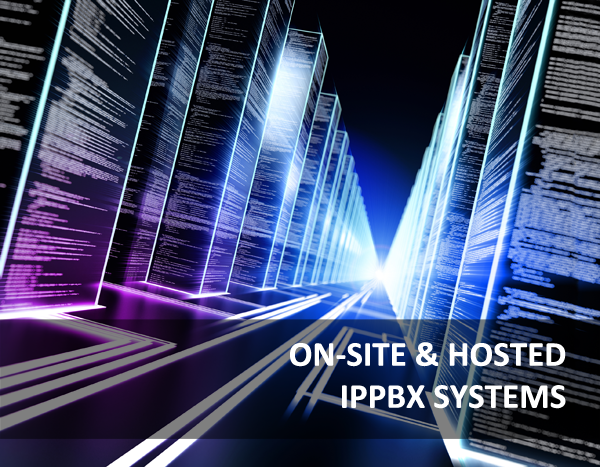 There are pros and cons of both on-site PABX system as well as hosted PABX system. There are some basic differences to each of the systems that should be known prior to the final decision. However, you should know all the differences and knowing that tends to the best phone system and satisfaction for the company and its employees. Hosted PABX definitely serves as an ideal platform for every start-up. It is characterized by low upfront cost, hardware and staff. This system offers a low affordable total cost of ownership (TCO) to small and mid size businesses. On the other hand, employing an on-site PABX system requires much more investment. It also requires hiring an IT staff to manage and configure servers as needed. To manage and maintain an on-site PABX phone system, business requires in-house resources and IT staff. Many companies would rather focus their IT talent. Staffs are limited and overburdened with other IT tasks which can result in delay in updating. While the maintenance of a hosted PBX system is managed by the phone system provider in an off-site location, so you don’t have to dedicate staff, time and money. In hosted PABX network more phone lines can be added easily on the web account portal. If you expand the business you don’t require additional hardware or equipment. However, adding more phones to an on-site PABX system can be expensive and time consuming, although it involves securing the hardware and tech staff expertise. Hosted PABX services do not involve signing long-term contract to take the business phone needs. With the availability of month-to-month contract, hosted phone system serves ideal solutions for every business need. With this facility, companies can take fresh opportunities and stay the best among all the other companies with the ever-changing conditions in the market. Hosted PABX phone systems have many benefits for businesses of all sizes. If you are using the IP phones from companies which do not give proper proprietary and support, then you might end up spending more on everyday operations and maintenance. If that is the case with your business, then it will be the right time for you to go for advanced phone systems, from a reliable provider.